Furious ministers rounded on Boris Johnson for suggesting the UK renege on its Brexit agreements over the Irish border, calling it unworkable and criticising the former foreign secretary for denouncing agreements made while he was a cabinet minister. The Department for Exiting the European Union issued a defiant statement rejecting Johnson’s alternative, laid out in a 4,000-word Telegraph article, saying it was “not a workable or negotiable plan,” less that two days before the start of the Conservative party conference. In turn, Johnson continued his public intervention with a series of TV interviews criticising the prime minister, warning May that she risked betraying the wishes of leave voters if she persisted with the Chequers deal but stopping short of calling her to go. The former foreign secretary was then asked if he would challenge for the leadership if he failed to persuade May to change course. “My job is to speak up for what I believe in and the vision that I’ve set out today and I believe in it very, very sincerely. I’m going to keep going for as long as it takes,” he said. 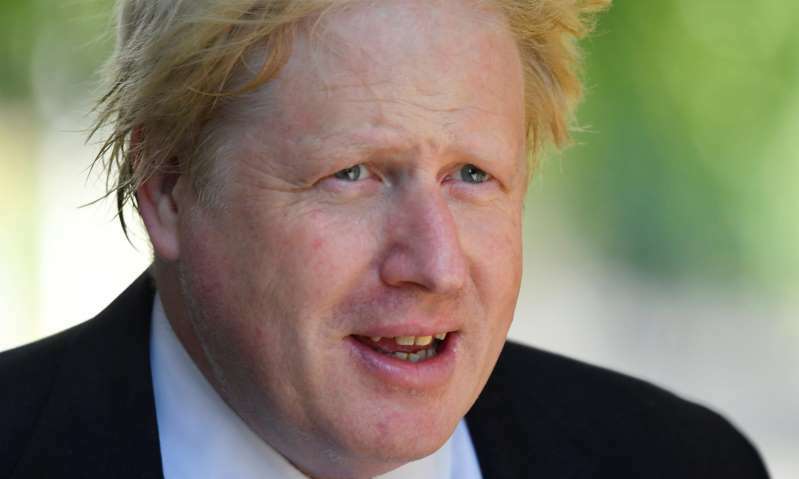 Johnson told Sky he stood by what he had said in his previous columns when he compared fully veiled Muslim women looking like “letter boxes” and “bank robbers”, and said that people should read his articles in full. In his article on Friday, Johnson said May should now renege on the December agreement, which included the Irish “backstop”, keeping Northern Ireland in the customs union and parts of the single market in order to avoid a hard border. Johnson said instead the UK should pursue a “super Canada trade deal” aiming for zero tariffs and quotas, with investment in new technology to ease customs at the border. Johnson is set to attend a rally on the night before May’s conference speech, an appearance likely to dominate any preview of her address. But the prime minister is understood to be determined that cabinet ministers put on a disciplined united front at the conference in Birmingham, which begins this weekend, with a string of policy announcements planned. May said the conference theme was “opportunity” and that the party would set out a vision for a post-Brexit Britain, after a fractious few days where senior Tories have publicly cast doubt on the party’s message after Labour focused on on childcare, high street renewal and housing at its conference last week. Sajid Javid, the home secretary, considered a future leadership contender, intends to give teachers, police officers and other officials a new legal duty to take a ‘public health’ approach to violent crime, supported by a £200m “youth endowment fund” targeted at crime hotspots. May said the decision was spurred by the “excitement of this summer’s World Cup” where England reached the semi-finals in Russia. “The decision on whether to bid is, of course, for the football associations to make. But if they decide to go forward, they can count on this government’s full support,” she said.